This self-paced series consists of twelve classes including 12 Video sessions, downloadable pdf’s of classes and mp3 audio files. No Prerequisites required. Classes may not be purchased individually. Click on a section heading to expand/collapse content. Common Neutral Ground supports us in creating clear boundaries, so we are encouraged to express our Truth. It is Higher Alignment’s integrating framework for determining how best to connect with others. It is based upon honoring our own creativity and the creativity of our partners. Growth, Autonomy and Intimacy is enhanced with CNG techniques. When we learn to cleanly provide the appropriate degree of inner and outer Energy, Time and Space, it allows us to operate with others in a creative manner. This permits us to quickly and easily resolve conflicts. The Common Neutral Ground introduces the sharing of Sensations, Feelings, Emotions and Thoughts so we can appreciate how, if not balanced, we can provoke reactions in others. Autonomy is the alignment of our expression so when we share it, it does not violate the boundaries of others. It also reflects that some individuals are not prepared to respond on all levels. Rather than making them wrong, we try to hold space for their contributions (or lack) to emerge. Being forgiving and open to how others define themselves is critical to getting into flow with them. Common Neutral Ground is an energetic process that maximizes our ability to connect. Over time, people trust us when we do a CNG, and will share more with us when we do so. Humans are energetic beings. The more conscious we become, the more we discover how to use Life (Pleasure), Light (Power) and Love (Passion) to facilitate our connections. We possess sensory tools, which allow us to not only organize our own experience, but to organize how the experience of others impacts us. What Common Neutral Ground does is create a buffer so that our interactions with others do not need to be personal or in a state of conflict. Using an independent space for connection outside of our own domain, allows us a freedom from proscribed interactions. 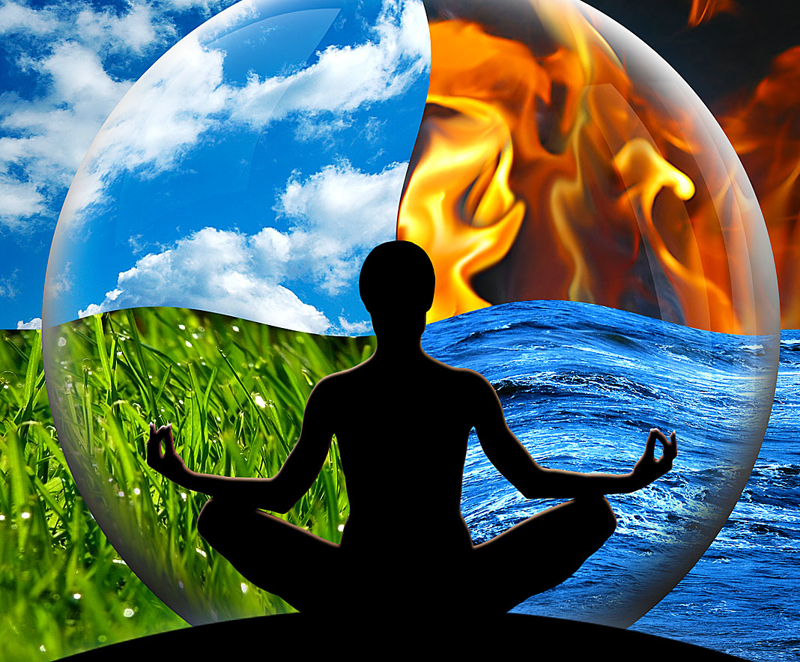 Opening up to inner and outer experiences of Energy, Time and Space allows us to breathe easier. With a CNG we learn how to be responsive without overlaying reactivity. We also learn how to hold our own space autonomously so others cannot compromise us. As we see in the world, most individuals are unaware of these possibilities. However, with CNG insights, we can identify the source of upsets, understand the limits of our partners and create new opportunities to work together. What we are seeking are partners we can trust, unify with and operate in a process of conscious communion. CNG Skills amplify this possibility. Having a Common Neutral Ground facilitates us in organizing our experiences so we can focus on what we want to offer, rather than believing we need to accept another’s experience and limitations as our own. We do not have to be at the effect of others to understand them, nor, do we need to be hurt just because they are hurting. What Common Neutral Ground does is allow us to see and hold a larger perspective, so we are not consumed or confused by the experience. This empowers us to clarify our Intent, Content and Context relative to others. This occurs when we can distinguish our core experience from our shared experience. We learn to separate, moderate or combine experiences to maintain and fulfill our life expression. This allows us to configure the optimum experience to learn the lessons we want to learn. 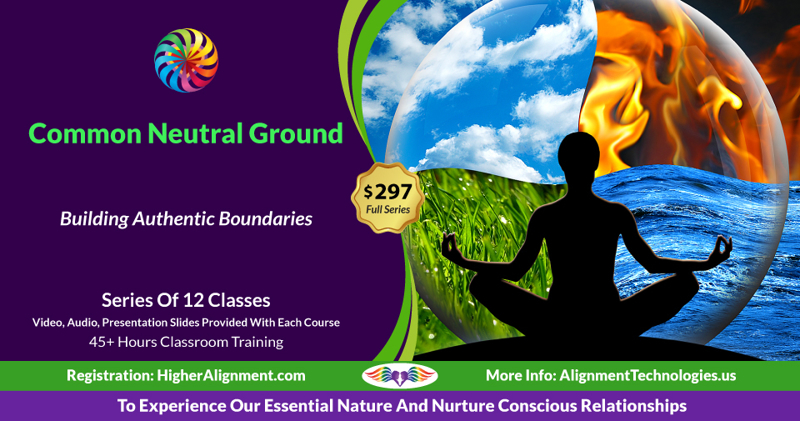 Common Neutral Ground is the unifying framework for Higher Alignment and the implementation of ‘right’ relationships. While many therapists have developed versions of Common Neutral Ground to do their work, Higher Alignment developed this model for conscious individuals to quickly engage many types of relationships. It is a common framework for integrating different levels of intimacy, familiarity and structure. It focuses mostly on equal, peer to peer relationships. As consciousness becomes more prevalent, this energetic technology will be adopted to reveal false assumptions and beliefs, remediate conflicts and promote greater harmony. It is also a process that promotes greater self-reflection as we learn to create a Common Neutral Ground. Most individuals vacillate between disengagement and enmeshment because they cannot find a way to balance their needs with the needs of others. More importantly, we do not know how to shift out of defensive patterns, where we believe we have to impose our perspective on others to be heard. Common Neutral Ground combats confusion by making obvious the Distortions of Objectification, Subjectification and Idealization. These are the three dilemmas of all relationships that keep us from having clean and balanced interactions. We learn how to hold space for our partners in a CNG to creatively connect with us so new possibilities can emerge. It is these creative possibilities that make relationships worth having. Otherwise, the relationship is simply a ‘needs fulfillment program’ that does not deliver. When we learn how to create and hold steady our Common Neutral Ground in all situations, it empowers us to operate from our Wisdom and Truth. We do this through practicing Stillness, Solitude and Silence within ourselves so our conditioning and Defenses do not drive us to act out our fears and desires. Being reactive, especially when it is based upon defensive distortions, causes us to fall into arrogance, ignorance and targeted blind assertions. We know how to be of service to others, which greatly facilitates our ability to do our Authentic Life Expression. Most important, we can recreate the experiences of others, allowing us to unify with them, as we like. Toward the end of the class, we will focus on the three tools of a great Common Neutral Ground. They are: Spacious Presence, Pregnant Duration and Skillful Means. Common Neutral Ground supports us in creating clear boundaries so we are encouraged to express our Truth.